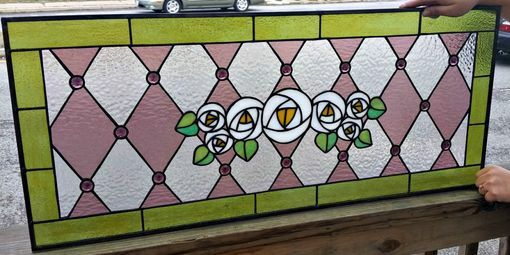 This gorgeous window is the first in our series of 5 new Victorian designs being added to our stained glass collection. The background for diamonds accented with faceted amethyst jewels makes the roses in the center piece pop! This would look great just about anywhere and in any colors! This piece is 35" wide X 15" tall but can be customized in size and shape. 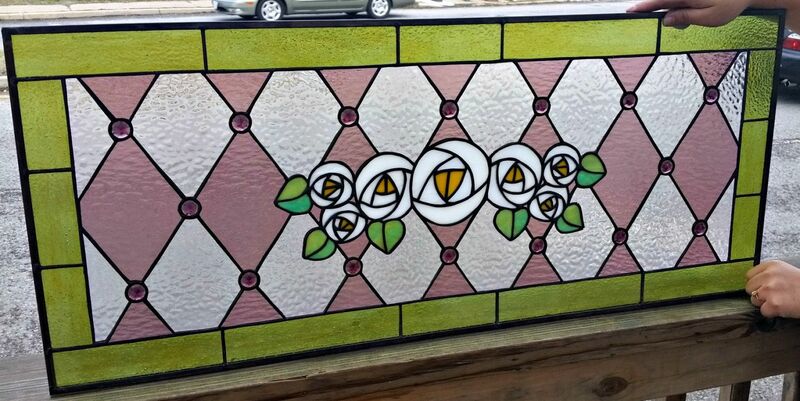 If you are looking for a stained glass piece that compliments your home decoration don't hesitate in contacting us! You can send us photos of your rooms or furniture and we'll make it happen!